Prieto Engineering professional services enables any development or construction project into completion faster than anyone other company. By providing and coordinating all the vital components we are able to design efficiently, acquire permitting, and construct with the most stringent budget in mind. 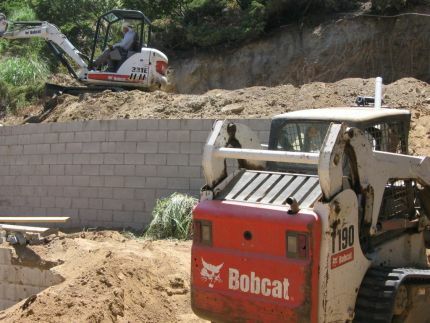 Gustavo Robles, of Robles Engineering, Inc., has more than 15 years of experience in the geotechnical field and is a California State Certified Geologist and Civil (soils) Engineer. Providing geotechnical services for all aspects of land development from input on initial land purchase and design to field observation and testing during grading. Specializing in Hillside Development, Landslide Mitigation, Seismic Hazard Mitigation, Liquefaction Studies, Fault Studies, Feasibility Studies, Visual (geologic) Evaluations, Construction Observations (inspections) and Compaction Testing. Projects include single-family residences, multi-family residences (apartments, condominiums, townhomes), commercial/retail buildings, mixed-use buildings, parking structures, single-lot developments, multi-lot developments, slope repairs, foundations repairs, retaining walls, impact walls, deflection walls, pools, decks, remodels and additions. Clients include property owners, developers, contractors, architects, and civil engineers. We work closely with our clients to develop cost-effective and practical solutions that meet their needs and expectations. We provide high quality work that is accurate, complete and well presented. We strive for quick turnarounds and responsiveness to the client, design team and governmental agencies.